Paul Brady recently went to Easter Island. Edith Zimmerman: Okay, so Paul! You went to Easter Island a couple weeks ago (right?). What were the circumstances around that/why were you there? Paul Brady: It’s true! 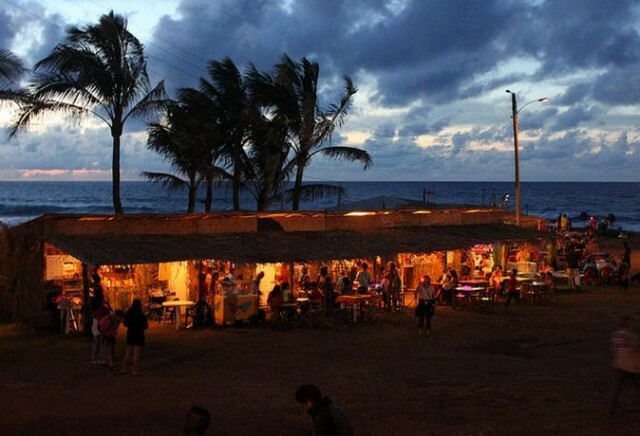 I spent nine days at the start of February on Easter Island in order to do some reporting on what they call Tapati, an annual festival that is basically their version of the county fair. They elect a “queen” of the island (although this year there was only one contestant), show off arts and crafts, stage singing and dancing contests, and hold a triathlon that involves paddling a reed canoe and swimming and carrying 55 pounds of bananas around the crater of an extinct volcano. Also, of course, I saw a bunch of the eerie monolithic statues for which the island is famous. And you’re based in NYC — how long did it take to get there? How much did it cost? 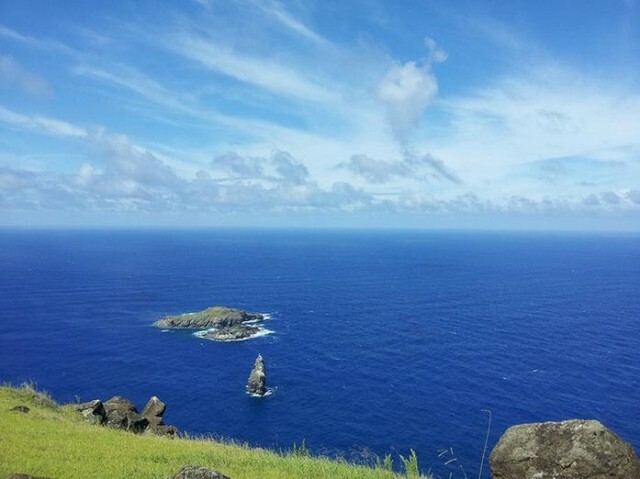 The weird thing about going to Easter Island, which seems like it’s the most remote place in the world, is that it’s actually not that hard to get there: You just have to buy a plane ticket! 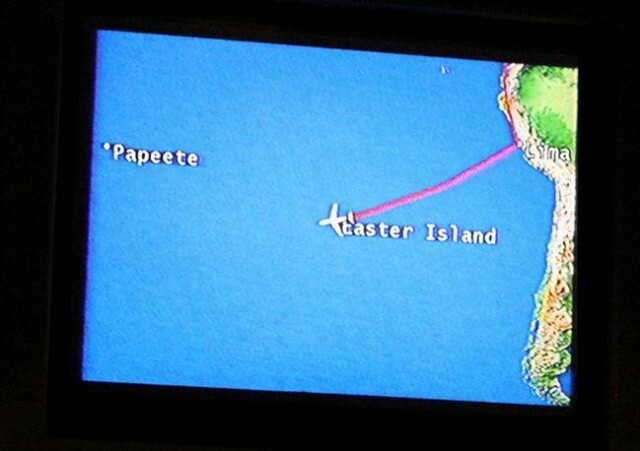 I flew on LAN from JFK to Lima and then connected Lima to Easter Island; I spent about 14 hours total in the air. The tickets cost less than a thousand bucks, which I actually think is a good deal, considering I flew 5,991 miles. Was the airport you landed at freaky and tiny? Quite the opposite! The airport was originally built by the U.S. to support a Cold War listening post, and later the runway was expanded to serve as an emergency landing strip for the Space Shuttle. If it flies, you can land it safely and easily at Mataveri International. Okay I’m going to Google Easter Island now so the rest of my questions sound smarter than that one. What else can you tell me about Mataveri International Airport a.k.a. 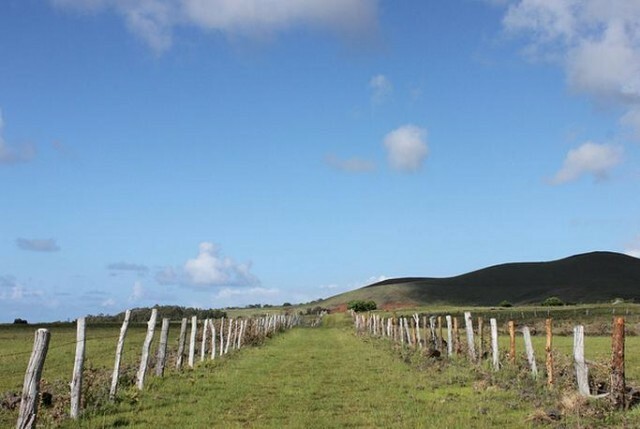 Isla de Pascua Airport? While the runway is a fairly impressive bit of engineering, the rest of the airport is honestly pretty shabby. They do have free wifi, though, which is sadly something that impresses me. 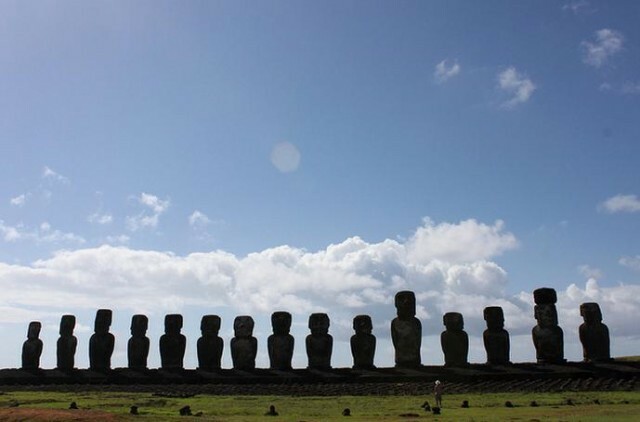 The statues, which they call moai, are obviously awesome. 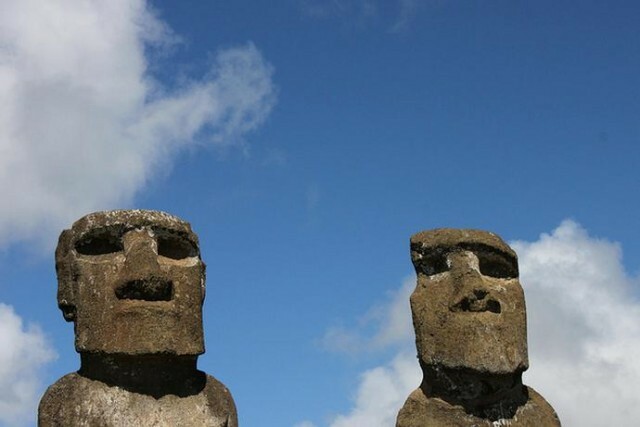 The consensus is that they were carved to honor powerful ancestors, which is why all but a few of them faced inland to watch over the islanders. Archeologists are still debating how they were moved, and trying to figure that out for yourself is part of the fun. These days, most of the moai are actually toppled over; the few dozen that are standing have been restored by modern-day researchers. The statues are certainly imposing and impressive, and you can get sucked into mesmerizing staring contests with them for as long as you want. While all the statues are out in the open air and rarely surrounded by fences, you aren’t supposed to touch them — and that goes double for the ones set on top of burial platforms, which you shouldn’t be walking on. Did you dream about them? I must’ve seen enough of them during the day that I didn’t dream of them at night. What was the food like? Best dish/worst dish? Because I was going for work, I managed to stay at a pretty swank lodge that made fantastic food for us morning, noon, and night. Fresh seafood was a big thing, for obvious reasons, as was fresh tropical fruit like pineapple, mango, and guava. I ate a lot of ceviche. 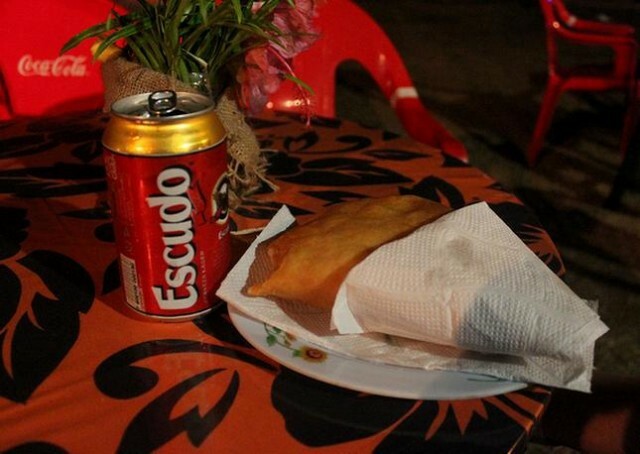 One night at the fair, I ate a $3 fried empanada the size of a football stuffed with tuna and cheese. Most of the wine that I drank was Chilean and very delicious. They are big into pisco sours as sundowners. The coffee options are either very, very good (and very, very expensive) espresso or Nescafe. Did you share any amusingly uncomfortable meals with people? One night at the lodge, a sort of boorish man I’d met earlier that day invited me to join him, and I was able to decline to my great relief. Later in the week, a woman who’d I’d actually met once before at a travel industry event arrived with her son and two friends, and we had some great dinners together. Mostly we talked about the odds of bumping into someone you know on a trip to Easter Island. What’s one sentence that someone there said to you that for whatever reason sticks in your head? During a hike with a couple other tourists, our guide, who makes his living taking foreigners around, told us that the last thing the island needs is more visitors. Spectacular. Warm but not hot with only a few drops of rain. We did not have any Nor-easters. I went to the one sandy beach, Anakena, a couple of times and enjoyed it very much. From 1 to 100, how “touristy” did it all feel? I’d say 25. It’s a pretty small place, so everyone knows you’re a tourist the minute you land. 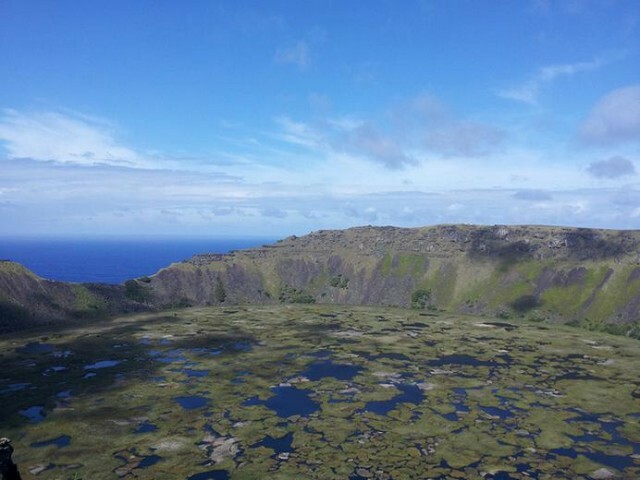 But that doesn’t seem to matter very much, as if the mere fact that you made it here lets you into some (non-existant) club, as long as you respect the archeological sites and moai. Where did you stay, and how did you get around? 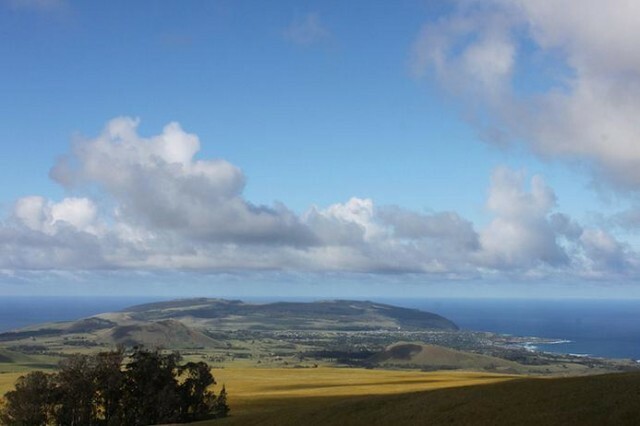 I stayed at the Explora Rapa Nui, which is quite nice and also quite expensive. It’s probably easier for most people to just stay in the one town on the island, Hanga Roa, at one of the guesthouses. Rental cars are good for getting around on your own, but you can also hire guides who will set up transportation to all the big must-see places. It’s definitely worth doing a hike or horseback ride into the countryside, too! Okay I think that’s it! Anything else you’d like to add? 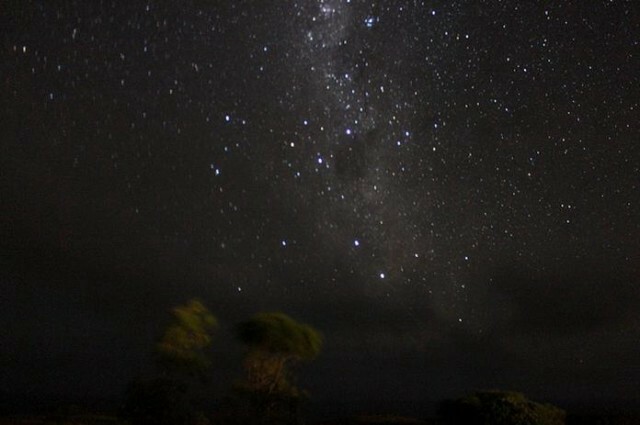 Stay up late: The stargazing is incredible. Paul Brady is an associate editor at HuffPost Travel. He has a Tumblr.